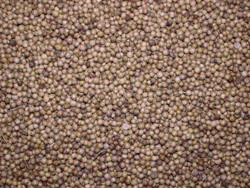 CORIANDER SEEDS are believed to be Lucky in three different ways, for Drawing New Love, to bring about Fidelity in Marriage, and as a charm Against Illness. 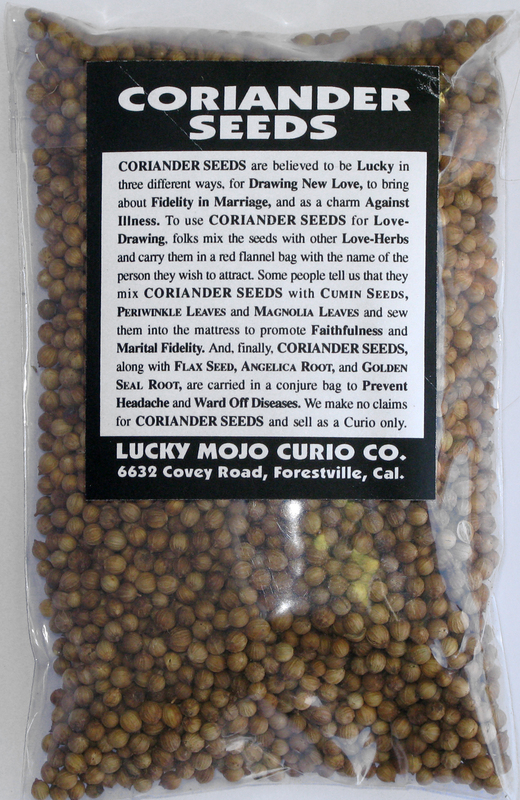 To use CORIANDER SEEDS for Love-Drawing, folks mix the seeds with other Love-Herbs and carry them in a red flannel bag with the name of the person they wish to attract. Some people tell us that they mix CORIANDER SEEDS with Cumin Seeds, Periwinkle Leaves and Magnolia Leaves and sew them into the mattress to promote Faithfulness and Marital Fidelity. And, finally, CORIANDER SEEDS, along with Flax Seed, Angelica Root, and Golden Seal Root, are carried in a conjure bag to Prevent Headaches and Ward Off Diseases. 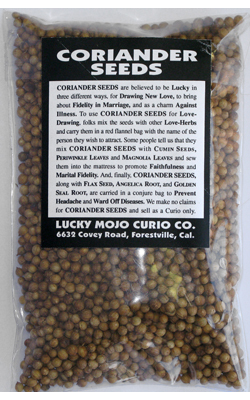 We make no claims for CORIANDER SEEDS and sell as a Curio only. 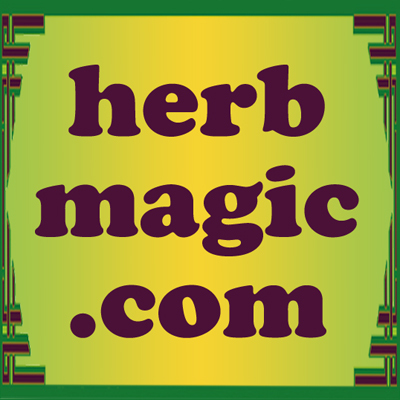 Many more folkloric magical spells utilizing EUCALYPTUS can be found in the book "Hoodoo Herb and Root Magic" by catherine yronwode.